The Aspect range features a Large window so you can view the beauty of the flames in your stove. 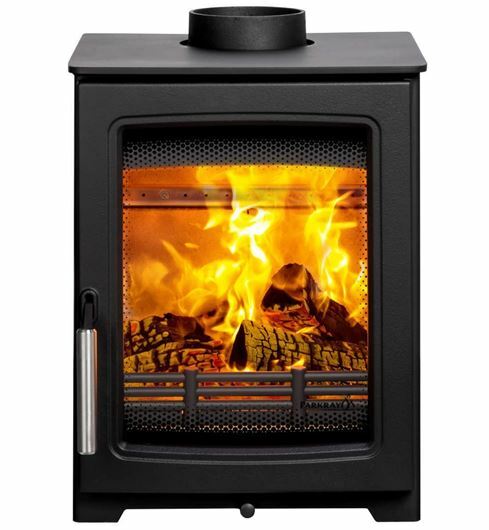 Combining looks, controllability and a yew high efficiency, the Aspect 4 is the perfect addition to any home. Defra-approved and with a heat output of 4.9kW, no air brick required. Handle option: Black Chrome and Stainless Steel.